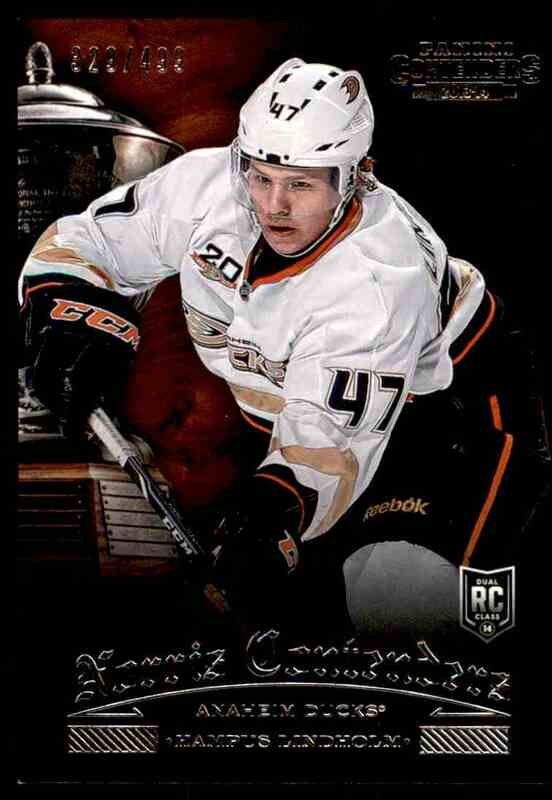 This is a Hockey trading card of Hampus Lindholm, Anaheim Ducks. It comes from the 2013-14 Panini Norris Contenders set, card number NC-13, serial numbered 329/499. It is for sale at a price of $ 5.00. Approximate size based on scanned front picture: 3½" x 2¼"